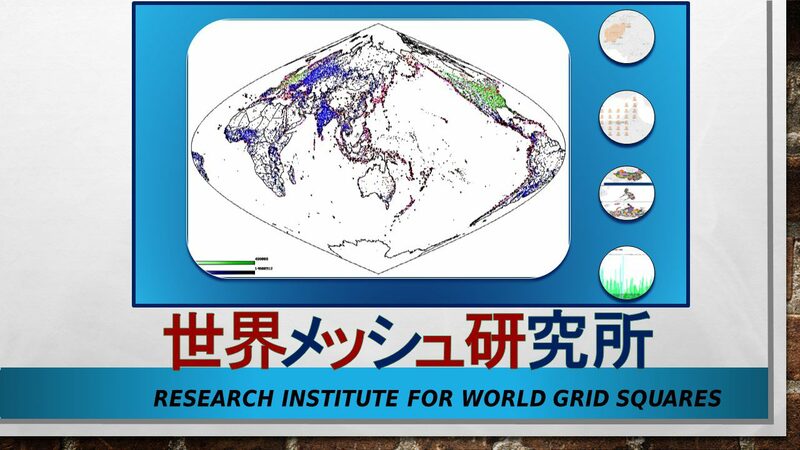 Research Institute for World Grid Squares enhances research activities related to world grid square codes and distribute software and data based on a compatible extension of JIS X0410 (Japan Industrial Standards) to worldwide. The grid square code is a key definition to generate grid square statistics data. In the case of Japan, we have the definition of grid square code in JIS (Japan Industrial Standards), which is standardized as JIS X0410. We propose a compatible extension of JIS X0410 to worldwide and call it world grid square system. The world grid square code can identify grids covering the world based on 6 layers. We can express a grid square by using from 6 to 13 digit sequence with accordance to its resolution. We define 2 numeric digits to the definition of JIS X0410 additionally. The first digit can take 1 to 8 (0th level) in order to express regional area in the world. The method to compute 1st level to 6th level sequences is the same as JIS X0410. 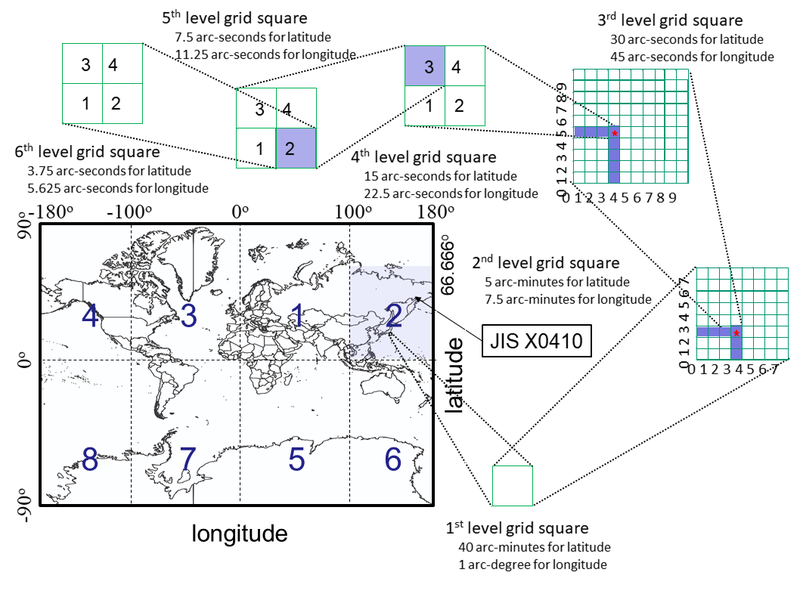 In this sense, JIS X0410 is included in the world grid square system.